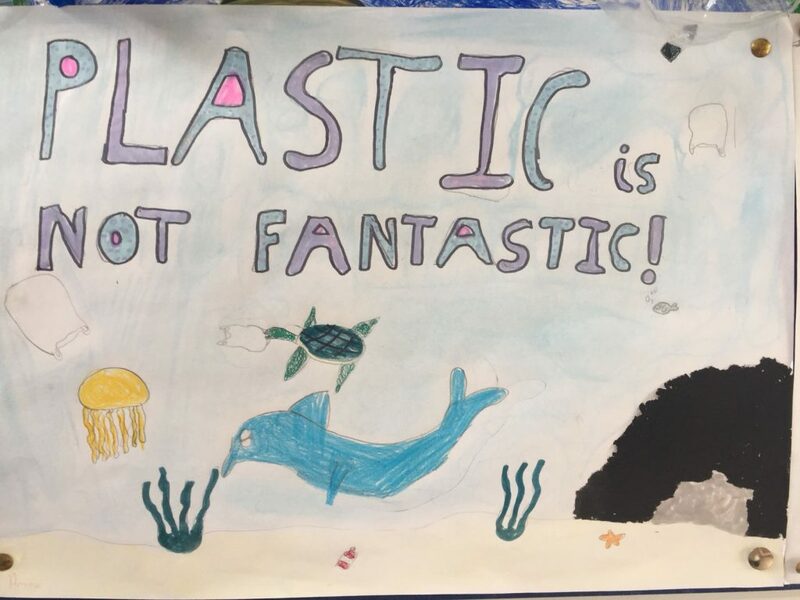 View the activities happening at our school! 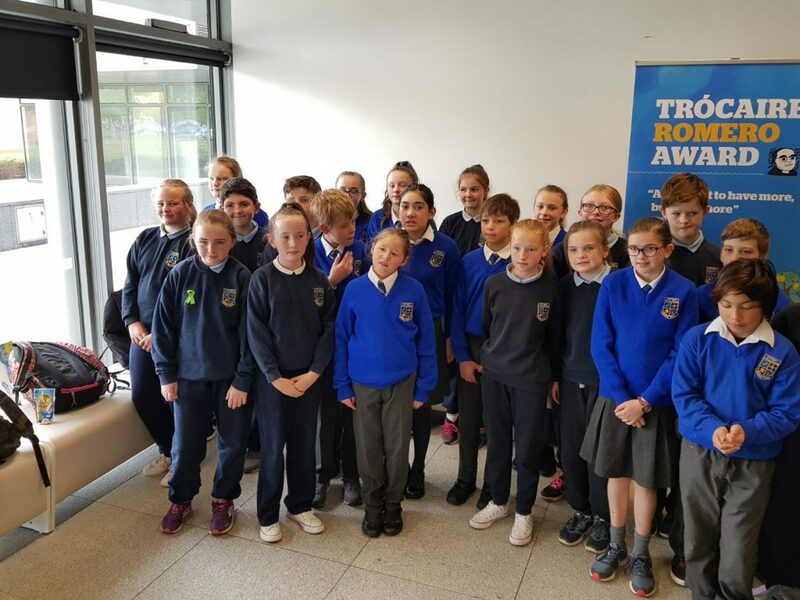 Mrs. O Dwyer’s 5th class took part in the ESB Science Blast 2019 last week with their project ‘How do gears make cycling easier?’ Science Blast is specifically run for Primary Science Schools. The children were delighted with the great feedback they received from the judges. The army ran a bootcamp morning last week for children from 8 different local schools. 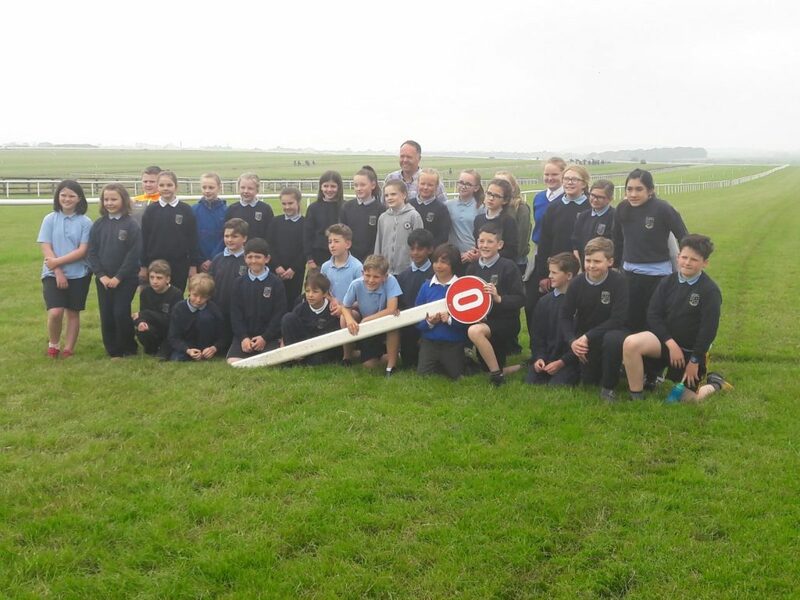 The 5th class children completed a circuit which involved going under cargo nets, cross country running, climbing over fences and using ropes to climb a slope. They all had great fun! Pictures below are of Mrs. O Dwyer’s class. Ms. Hyland’s 4th class went all out to show love on Valentines day with their lovely fabric and fibre love hearts. Grandparent’s Day was celebrated in Mr. Casey’s Fourth Class today. It was a great success. Mrs. O Dwyer and her fifth class attended the Primary Science Fair in the RDS again this year. They presented their project entitled “Why do bicycles have gears?” The class had many visitors to the stand including Simon Harris, Fiona O Loughlin and the judges! 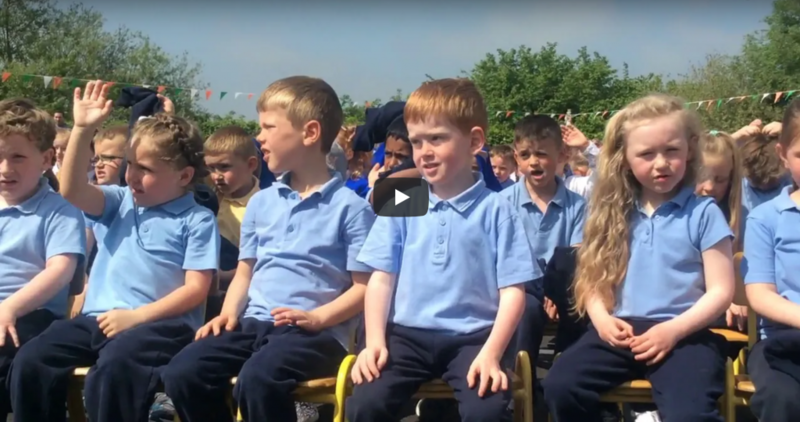 We were delighted that the Gardaí visited our school this week. Many children had lots of fun exploring the Garda car and motor cycle. Ms. Heffernan’s 6th class studied China before the Halloween break. They presented their work to their class and also integrated the topic into art lessons by constructing Chinese Dragons. First Class were excited to solve Maths problems outside during Maths Week. We worked in teams to complete a Maths Trail and used the iPads to record our findings. Some of the third class children had a chance to engage in Hip Hop dancing in the library lately. Below are a few pictures of Mr. Whelan’s class. Ms. Flynn and her choir have been busy practising the past few weeks for this years Tipperary Peace Convention in Tipperary Town. Have a watch below. 6th class were invited to Kildare Library for a recital by the Lyric Fm string quartet. They got a lesson on how to play the harp and the flute from Evelyn Grant of Lyric FM. 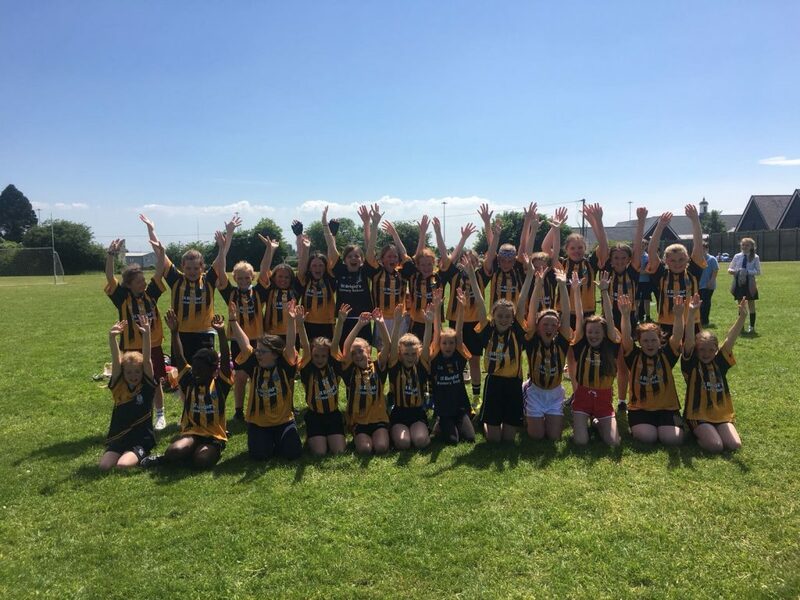 Mrs. O Dwyer’s class have been out and about over the past few weeks. They have visited Kildangan Stud, were under starters orders in the Curragh and then enjoyed a picnic on the Hill of Tara. 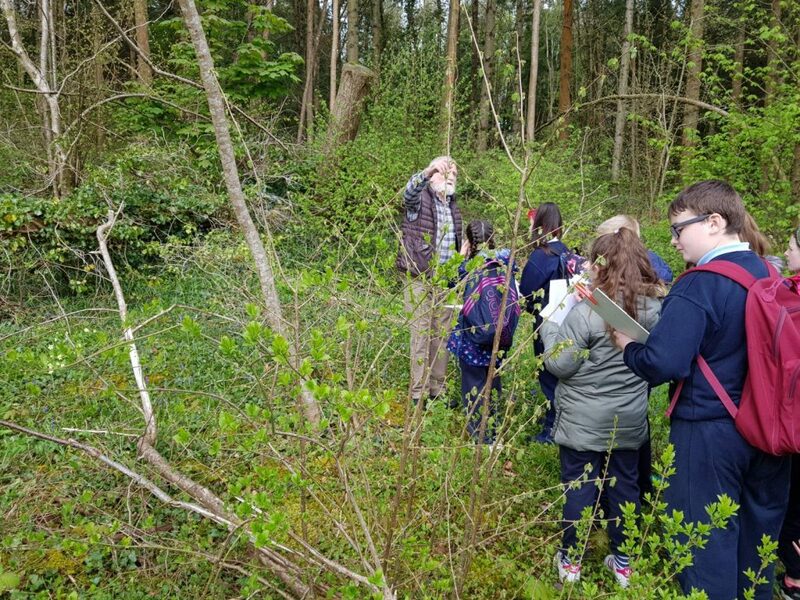 Paddy Madden helped the children of the 5th classes to discover the wonder of Moore Abbey Woods. 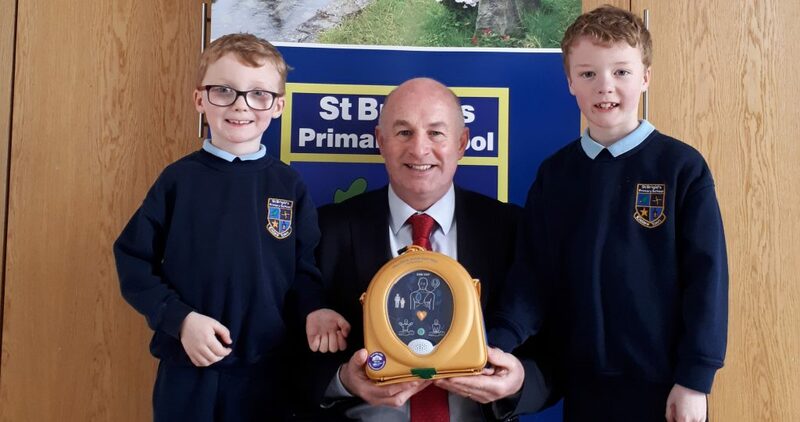 St. Brigid’s Primary School extend a huge thank you to the O’ Carroll family for the very generous donation of a defibrillator to the school. Pictured below are brothers Mikey and Seán O Carroll with Principal, Mr. Fleming.